HellermannTyton Ltd, providing Systems and Solutions for Fastening, Identifying, Insulating, Organising, Routing and Connectivity in Copper and Fibre Optic Networks. 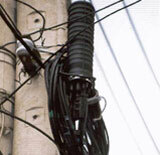 We also develop pioneering systems in the field of data and network technology for our customers. Our company philosophy is not only geared towards achieving unique products, but offering equally unique supply solutions, embracing the latest supply chain technique. 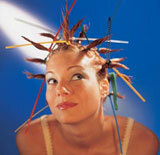 HellermannTyton is an established leader in the design, manufacture and supply of cable management products. HellermannTyton products can be seen supporting, protecting and managing cables and wires around the world. With their experience and a wide portfolio of products they have a solution for virtually every application. HellermannTyton technical and engineering expertise ensures that they can satisfy your individual needs. HellermannTyton offer a range of application tooling which helps reduce operator fatigue and speed assembly. A core part of HellermannTyton's business is to add value to the electrical and communications networks designed and installed by our customers. A major contribution in this area is made by their identification products which range from standard cable markers - fitted pre or post termination - to customised labels, markers and tags which are printed using specially designed printing systems. Such printing systems can be supplied for customers own use and they also offer an in house printing service. Applications range from fibre optic cable, control panels, cable harnesses to electricity pylons, from sub-sea to outer space. Stainless Steel Markers - The Hellermark MS Series consists of a range of sign carriers, embossed character tiles and end plugs. Adhesive Labels - HellermannTyton offers a comprehensive range of labels. Spirit Portable Printing System - HellermannTyton introduce the Spirit 2100 portable printing system. Easy to use, the Spirit 2100 features 'What You See Is What You Get' (WYSIWYG) label design and layout. Designed for a wide range of applications they are all designed and manufactured for ease of assembly whilst ensuring they maintain the highest standard of tamper evidence. For more information on the range of Security Products offered by HellermannTyton please use the links below. At the leading edge of fibre management - The Broadband Systems Division of HellermannTyton has designed a remarkably innovative range of fibre splicing closures for external and internal plant equipment. These sealed closures protect the fibres from adverse environmental conditions whilst maintaining ready access for effective cable management. Fibres are housed in space-saving modular units that minimise network disruption and which have been designed to allow further modules to be added at a later date for increased capacity, thus ensuring a future proof design. 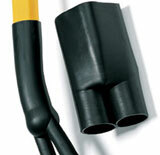 Heat shrink products play an essential part in insulating and protecting individual components in cable systems. HellermannTyton's products are used in electricity distribution, aerospace and defence, railways, automotive industry and by many other original equipment manufacturers around the world. With over 30 years Heat shrink technology experience behind them, HellermannTyton are well-known for their extensive range of shapes and innovative heat shrink solutions. They are committed to continual improvement in materials and their latest development is a new range of medium voltage products.